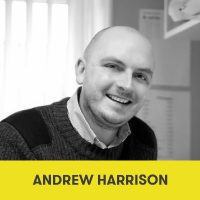 Andrew is a Lay Trustee and also a member of the Audit, Finance and HR Committee. Graduating from The University of Warwick with a degree in Film & Literature, Andrew went on to hold positions at Kings College London and The University of Sheffield before moving into the marketing and events industry. Andrew is a Director of Hopper Events, an events agency based in Sheffield, working with clients such as the BBC, Hull City Of Culture and Radio 1 Academy. Outside of work, Andrew collects vinyl records, enjoys real ale and walking in the Dales.